Santa Rosa DUI Lawyers | Fiumara & Milligan Law, P.C. Protect Your License, Future & Freedom Today! Fiumara & Milligan Law, PC Fights To Get Your DUI Charges Reduced Or Dismissed Altogether! If you are facing DUI charges in Northern California, you should know that this is not the end of the world. 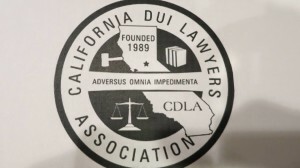 As Santa Rosa DUI lawyers based in Santa Rosa and San Rafael and throughout Northern California, we have defended thousands of DUI and suspended license cases since 1992 and we can find a way to help you. 40 years of combined legal skill & experience handling DUI cases. 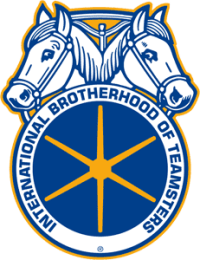 See what clients are saying about us on Google+ and Avvo- We have earned respect and high ratings. Check out the law firm’s Superb rating on Avvo. 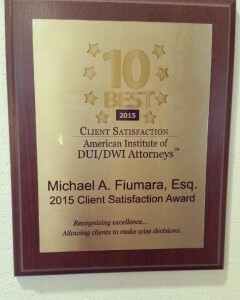 2015- Selected 10 Best Client Satisfaction Award by the American Institute of DUI/DWI Attorneys. 2015- Awarded Avvo Client Satisfaction Choice Award for DUI defense. DUI / Driving under the influence conviction can result in loss of reputation, costly fines, required attendance at alcohol-education classes, suspension or revocation of your driver’s license, increase in or cancellation of your auto insurance, placing an ignition interlock device in your car, and, in some cases, jail or prison. In Northern California, losing the privilege to drive can be devastating to a person’s career, as well as one’s personal life. 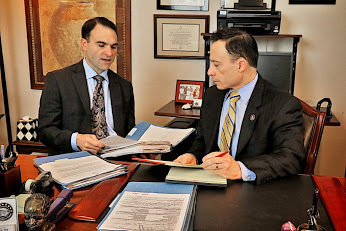 At Fiumara & Milligan Law, PC we aggressively defend DUI charges both in court and at DMV hearings by carefully strategizing with our clients to develop a top-notch defense. We investigate why the police stopped your car, how you performed on the field sobriety tests (FSTs) and whether the breathalyzer had any history of malfunctioning. We specialize in developing successful defenses to DUI charges by utilizing the science behind blood-alcohol and our specialized knowledge of proper police procedure during a DUI arrest. As Santa Rosa DUI lawyers, our aggressive courtroom approach leads to charges being dropped or reduced when we can demonstrate a weakness in the prosecutor’s case, such as a traffic stop lacking proper legal cause, a breathalyzer machine not operating properly, alcohol absorption that is insufficient to show true impairment, or other problems of proof that often exist. As long as you have retained us within 10 days of the arrest, we can request a hearing with the DMV for you. This allows us to challenge the case with the DMV in an effort to protect your license. DMV hearings, however, are very rarely successful for the driver. If you have retained us after 10 days of arrest, your license will automatically be suspended after 30 days from the arrest. At Fiumara & Milligan Law, PC we will work immediately to protect your rights, and fight on your behalf to avoid a serious criminal conviction being on your record. You must be advised that you have 10 days from your arrest to request a DMV hearing to prevent automatic suspension of your driving privileges. We ensure that your DMV hearing is set timely and defend you at the DMV hearing (even without you there), to protect your driving privileges. 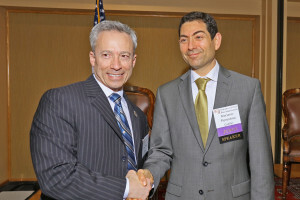 Mr. Fiumara and his associates’ unique and insightful experience gives them a real cutting edge and advantage over those attorneys outside of the area who may want to represent you in Marin and Sonoma Counties, but who are unfamiliar with local protocol, customs and practices. That is why it is in your best interests to hire an attorney from Marin and Sonoma Counties where your case will be heard. Just recently, the law firm obtained two jury acquittals for two respective clients. Don’t be disadvantaged–instead empower yourself by hiring the winning, experienced and highly skilled team of personal injury and criminal defense attorneys from Fiumara & Milligan Law, PC. Don’t settle for less than you deserve. You should have a highly experienced Santa Rosa DUI defense lawyer to guide you through this tough time. Contact our law firm for a free case evaluation and hard-hitting DUI defense! Is this your first arrest? You might qualify for the Back on Track program. 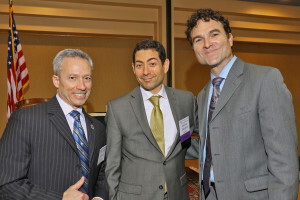 Read real endorsements from other attorneys about Michael A. Fiumara impressive skills & qualifications. How much does it cost to fight your DUI charges? With more than 40 years of combined experience, our highly skilled and tenacious lawyers at Fiumara & Milligan Law, PC have defended thousands of clients in Sonoma County, Marin County and the entire North Bay for DUI charges. As your attorneys, we will protect your rights, and fight to get your charges reduced or dismissed altogether. We will also keep you out of the courtroom as much as possible, saving you precious time and money. We've protected the rights of countless former clients and we are ready to do the same for you. 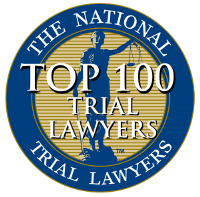 As highly respected and expert DUI defense attorneys, We have defended thousands of DUI cases and garnered accolades such as being named one of the Ten Best DUI Law Firms, by The American Institute Of DUI/DWI Attorneys and a "Superb" rating on Avvo. How should you fight your DUI? What can you do after your license has been suspended? What penalties could you be facing? Should you plead guilty? You can find answers to these and many other legal questions in the video center. Our video vault contains answers to general DUI questions. If you need answers for any frequently asked California DUI questions, you can find them here on our website today! At Fiumara & Milligan Law, PC we have successfully defended our clients in thousands of DUI cases. We know what it takes to get charges dropped and cases dismissed, having secured favorable results for countless clients. No case is too complex for us to take on, and we have the results to prove it. At our North Bay DUI defense firm, we are prepared to handle all types of DUI charges.